On Thursday December 5, 1963 the Daily Express reported that on the previous evening twenty-four distinguished men had sat down for a traditional English dinner at the Royal Academy on Piccadilly. It was to celebrate the opening of ‘The Great Goya Exhibition’ and masterpieces from the Spanish master had come from all over Europe. Most importantly, and carefully concealed in a tomato train, eleven paintings had from come Franco’s Spain and had arrived in London the previous week. The great and the good of the art world were present that night, except one – Dr. Consuelo Sanz Pastor – Inspector of Museums for Spain. Dr Pastor, who had actually accompanied the Prado pictures to Britain and had also played a major part in arranging the exhibition, was absent because she was a woman and, as the Daily Express stated rather casually, the Royal Academy ‘never breaks with its all-male tradition’. 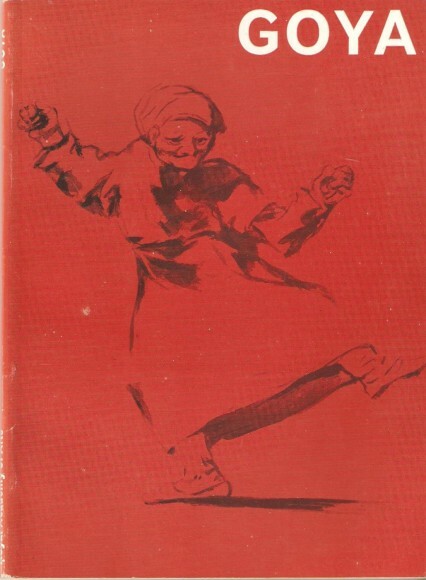 Cover of the 1963 Royal Academy Exhibition book. One person who was at the dinner was Gerald Wellesley the 78 year old 7th Duke of Wellington. His famous predecessor the 1st Duke, while on service in the Peninsular war in 1812, had had his portrait painted by Goya. In 1963, to the general public in Britain at least, it was possibly Goya’s most famous painting. It wasn’t part of the prestigious exhibition, however, because it had been stolen. On 21 August 1961, in the middle of the night and seemingly under the noses of five security guards, Goya’s portrait of the Duke of Wellington had been taken from the National Gallery. It was initially assumed to have been removed by the gallery authorities as there was no sign of break-in or forced entry and it was several hours before the painting was reported missing. 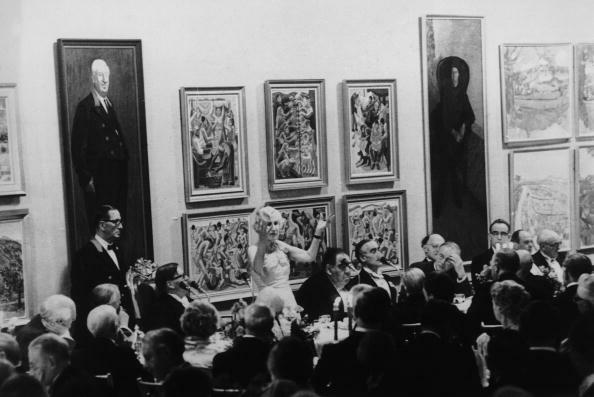 When the important men of the art world sat down for the Royal Academy dinner two and a half years later, and despite a £5000 reward, there was still no clue to the painting’s whereabouts. 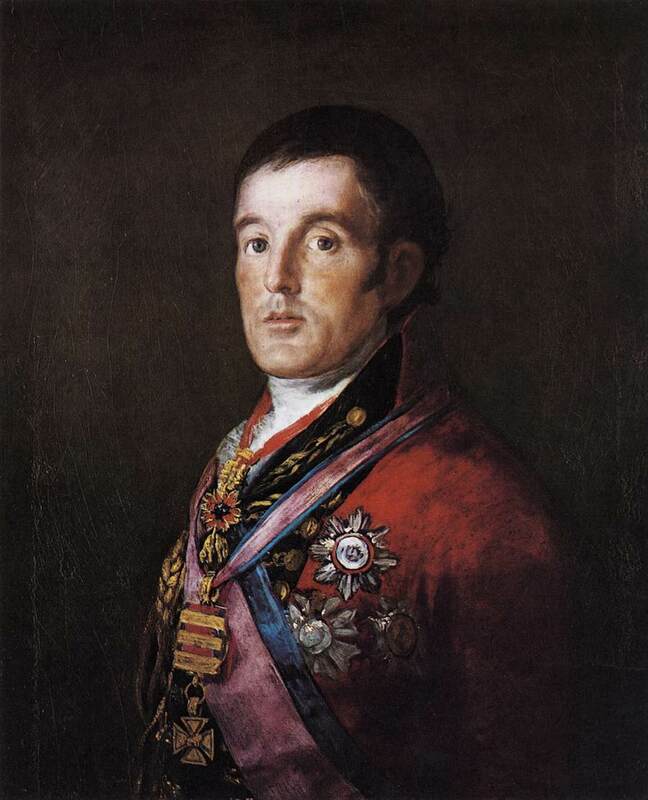 The Portrait of the British general Arthur Wellesley, 1st Duke of Wellington by the Spanish artist Francisco Goya was painted during the latter’s service in the Peninsular War. One of three portraits Goya painted of Wellington, it was begun in 1812, after the Wellington’s entry into Madrid, showing him as an earl in red uniform and wearing the Peninsular Medal. The artist then modified it in 1814 to show him in full dress black uniform with gold braid and to add the Order of the Golden Fleece and Military Gold Cross with three clasps (both of which Wellington had been awarded in the interim). 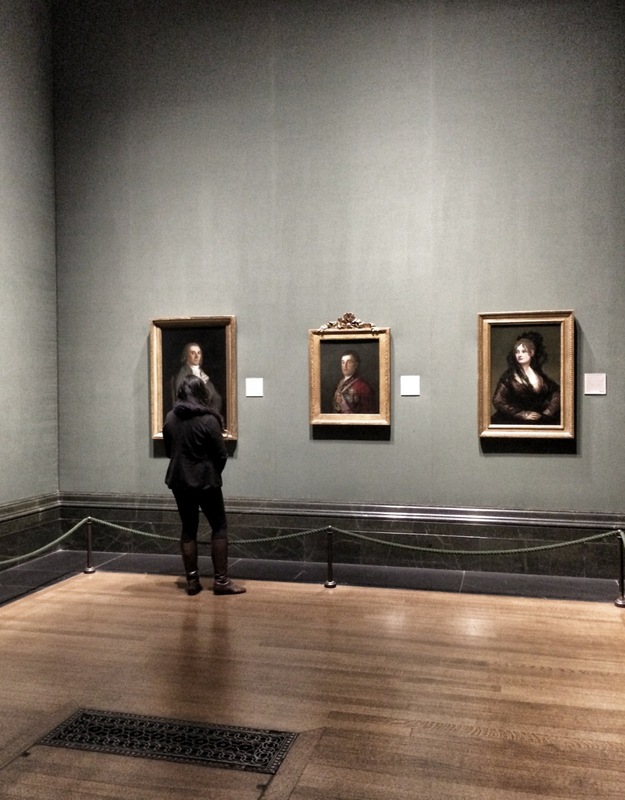 The disappearance of the Goya shocked the National Gallery. It was their first ever theft and the painting had been taken not three weeks after it had first been put on display. The director offered his resignation and the robbery led to an official inquiry into security at Britain’s national galleries and museums. Initially it was thought as some outrageous copycat stunt as it was, coincidentally, exactly fifty years after, to the day, that the Mona Lisa had been stolen from the Louvre in 1911. A few months before the Goya’s appropriation, the New York oil magnate, collector and trustee of the Metropolitan Museum, Charles Wrightsman had bought the painting, originally owned by the Duke of Leeds, through an auction at Sotheby’s for £140,000 (over £2,500,000 today). There was widespread protest and questions were asked in parliament about how such a prestigious and patriotic work of art could possibly leave the country. Wrightsman, generously, offered it to the National Gallery for the price he had paid. A charitable organisation called the Wolfson Foundation offered £100,000 which embarrassed the government to provide a further Treasury grant of £40,000. 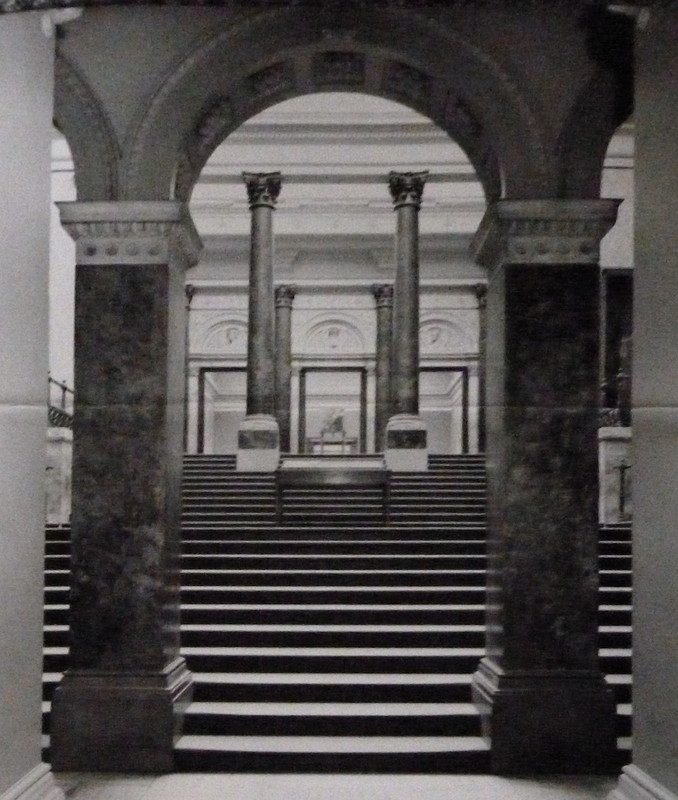 With almost indecent haste on 2 August 1961 the painting was put on display in a proud, prominent position at the top of the National Gallery’s central stairs. 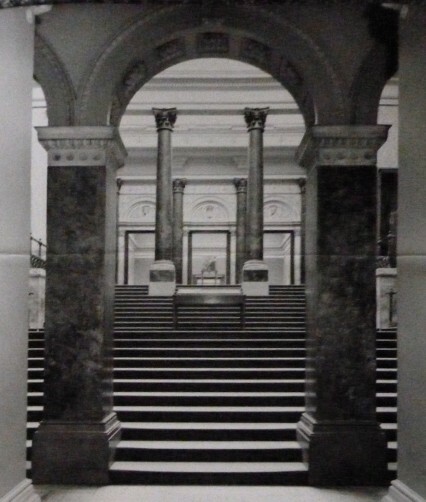 The stairway at the National Gallery. At the top of which Goya’s Wellington portrait was exhibited in 1961. At about an hour into the first James Bond film released in October 1962, Dr Julius No shows 007 around his lair. 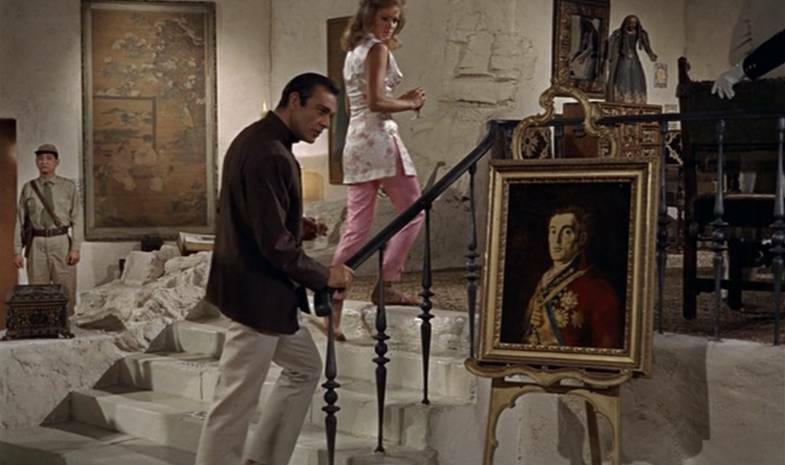 At one point Bond does a double-take as he realises it’s Goya’s Duke of Wellington portrait perched on an easel by some stairs. My set is fixed for ITV only. Their picture is supplied for free. Why should I pay money to the BBC? Only available in London, initially, Independent television had been introduced to Britain in September 1955. The North East was the last of the English regions to get its own television transmitter and the contract for the region was awarded on 12 December 1957 to a consortium that was led by film producer Sydney Box and the News Chronicle executives George and Alfred Black. Tyne Tees Television went on air at 5 pm on 15 January 1959 and Harold Macmillan, a local MP but of course Prime Minister at the time was interviewed on the first night. This was followed by a programme called The Big Show which was notable, despite its name, for being broadcast from a particularly small studio. It makes no pretension whatever to meet highbrow tastes. Which must be in a great minority anyway…In light entertainment and comedy it has certainty and speed, and it was here that I saw some programmes fresher and saltier than some I see on the main network. I left Newcastle with the loud echoes of some “live” and many Ampexed programmes ringing in my ears and a new almost alarmed respect for the toughness of Tyneside television. 8.15pm Take Your Pick – The first television game show on ITV and was the first show on British TV to offer monetary prizes. It was presented by Michael Miles. 9.40 News - ”The credit squeeze is back” was the big news of the day. Hire Purchase restrictions that were swept away two years before were back again. It was no longer be possible to get a car, a washing machine or a TV set without a deposit – and with four or five years to pay. From that morning, there had to be a downpayment of 4s. in the £1, and the “never never” period was restricted to two years. Britian’s HP debt in 1960 stood at nearly £900,000,000. I have been offered money to drop a match. It happened to me about 12 months ago. We were playing at home. I had just parked my car near the ground when a middle-aged man tapped me on the shoulder. He asked me if I was interested in making a some extra cash. I thought he was joking at first and told him that if he was really serious I would have to report the matter to the club. At the same time I told him what to do with his money. He was off like a shot. Tyne Tees knew its audience and by 1960 it had 150,000 more viewers than the BBC in their region. Not an inconsiderable amount, although it might have had something to do with the two hours of prime-time viewing on a Friday night the BBC gave over to International swimming and amateur boxing. Meanwhile the Tyne Tees Television fan Kempton Bunton continued his fight with the authorities over the non-payment of his television licence and the affair had now caught the interest of the national newspapers. Since I started this argument I have treated the BBC levy with the contempt it deserves. I say that the old folk should have free viewing right away. They are sick of empty promises given by forgetful governments. I would suggest that the red tape be cut, precedent forgotten and a quick Act passed through the House of Commons allowing old folk to take for nothing that which is already offered free. This is a matter of principle for me. I believe that the air should be free. Why should millions of people be deprived of the pleasures of TV? Four pounds for a licence is not a lot of money, but to some people it is a huge sum. The standard of programmes on television may at times be ridiculed but I still maintain that it is a grand time-killer and of a special benefit to our old folk. Tyne-Tees offer me a free programme and I take it. I shall go on refusing to pay this ridiculous tax. The ‘ridiculous tax’ was first introduced in November 1922 and originally called the Broadcasting Receiving Licence. It cost 10 shillings (50p but about £25 today) and it covered the existing BBC radio broadcasts. Later it also included the BBC’s 405-line television service introduced in November 1936 before it was suspended at the beginning of World War 2 in September 1939. 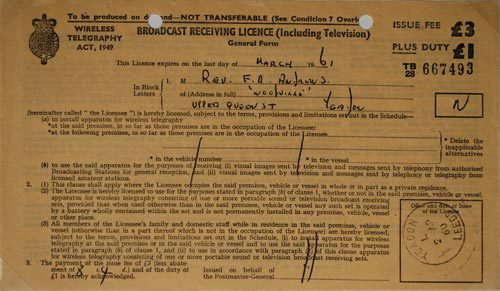 The Television Licence was introduced after the war in June 1946 to coincide with the post-war resumption of the BBC TV service that same month and it cost anyone with a television set £2 (about £73 today). It was increased to £3 in 1954 and when Kempton Bunton refused to buy his licence in 1960 they were costing £4 (about £86 today). 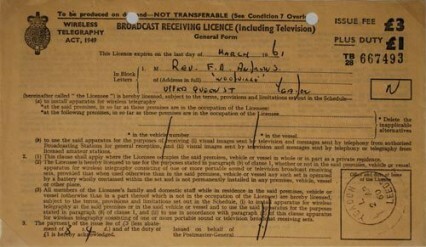 An example of a Television licence from 1960. The act is an attempt to pick the pockets of those who love art more than charity . 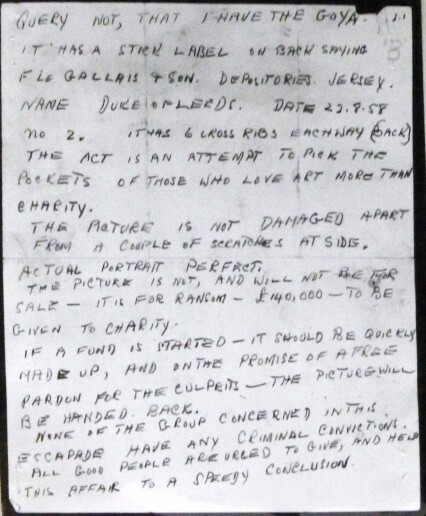 . . the picture is not, and will not be for sale – it is for ransom – £140,000 – to be given to charity. 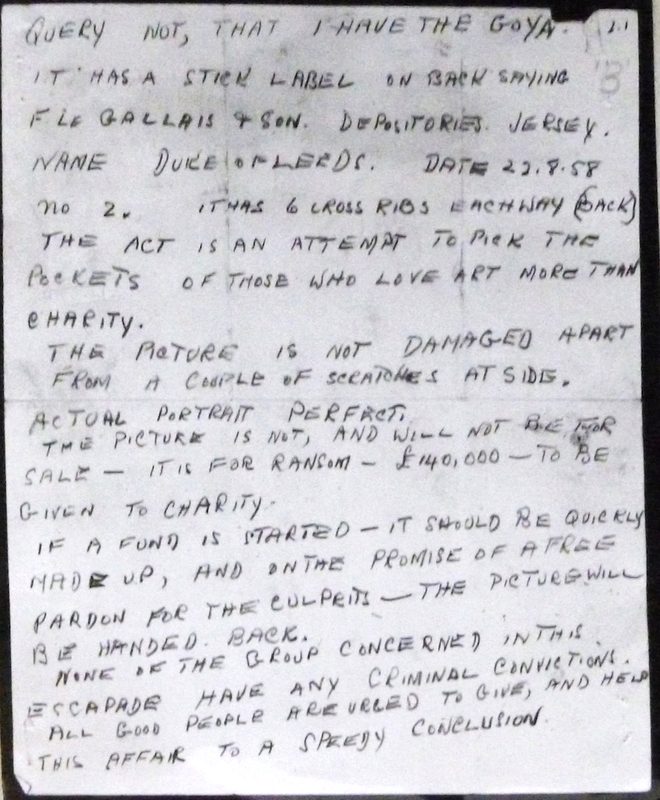 In July 1963 another letter enclosed a label from the back of the painting and a fourth note encouraged the chairman of the National Gallery, Lord Robbins, to “assert thyself and get the damn thing on view again. I am offering three pennyworth of old Spanish firewood, in exchange for £140,000 of human happiness”. This great national art treasure should be taken immediately to the shop of any newsagent in the land. I feel I know him pretty well already…He is still probably fairly slim and physically fit, and the cunning which he carried out the raid suggest that he was probably a commando or something like that. A man without fear. Goya. Extra Com. Lost – one sporting offer. Propriety has won – charity has lost. Indeed a black day for journalism. I wonder if he is worthy of £2500 reward or should be be drummed out. We took the Goya in sporting endeavour – your Mr. Editor pinched it back by a broken promise. You furthermore have the effrontery to pat yourself on the back in your triumph. Animal – vegetable – or idiot. Although neither the police nor the National Gallery were in a position to offer immunity from prosecution, the Mirror became a communication route and in May a left-luggage ticket from Rack C2 at New Street station in Birmingham arrived at their offices. This quickly led to the recovery of the painting. It was in relatively good condition but missing its frame. The painting was shown at a press conference on 24 May 1965, and then was quickly put back on display, almost four years after it had been reported stolen. My name is Kempton Bunton and I am turning myself in for the Goya. (1) My secret has leaked – I wouldn’t like a certain gentleman to benefit financially by speaking to the law. (2) I am sick and tired of the whole affair. The next day at Bow Street magistrates court, Bunton was charged with the theft of the picture, demanding money from Lord Robbins with menaces, demanding money from the editor of the Daily Mirror with menaces and with ‘causing a nuisance to the public by the unlawful removal and wrongful detaining of a painting on display at the National Gallery’. A relaxed Kempton Bunton, August 1965. On 10 November 1965 Kempton Bunton pleaded ‘Not Guilty’ to all the charges at the Central Criminal Court. In evidence to his counsel, Mr Jeremy Hutchinson QC, Bunton said that he had never intended to deprive the National Gallery of the portrait permanently. Neither had he the intention of getting any money for himself by taking the portrait. When he was asked how he had stolen the painting Bunton told the court that it was at 5.50 am and that the guards must have been playing cards. He had got in by using a ladder which had been left by builders against the outside wall. Bunton added that he had taken the painting because he had been incensed with the Government for not allowing free television licences to pensioners. During his cross-examination of Bunton, Mr E.J.P. Cussen for the prosecution, asked: ”Are you not sure your object was to steal the portrait from the National Gallery in revenge for the way you had been treated by the authorities over your television licence”? Bunton replied ‘That is not correct’. Bunton was acquitted on four of the charges but convicted of stealing the frame and sentenced to just three months’ imprisonment. The judge in his summing up expressed what was generally the view, especially by the National Gallery, and one presumes all the museums and galleries around the country, that there cannot be people creeping into art galleries and removing paintings only to say later they were intending to bring them back. 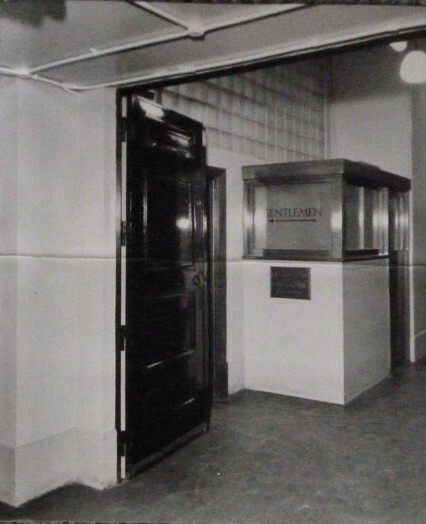 Three years later the Kempton Bunton case led to an important clause being inserted into the Theft Act of 1968, making it illegal to “remove without authority any object displayed or kept for display to the public in a building to which the public have access”. The judge also pronounced, and again he couldn’t have been alone with his opinion, that the theft was a “remarkable feat” for the large, 17-stone, rather unfit Bunton who had long retired from driving because of a previous injury. Everyone involved in the case must have thought that was absolutely that. 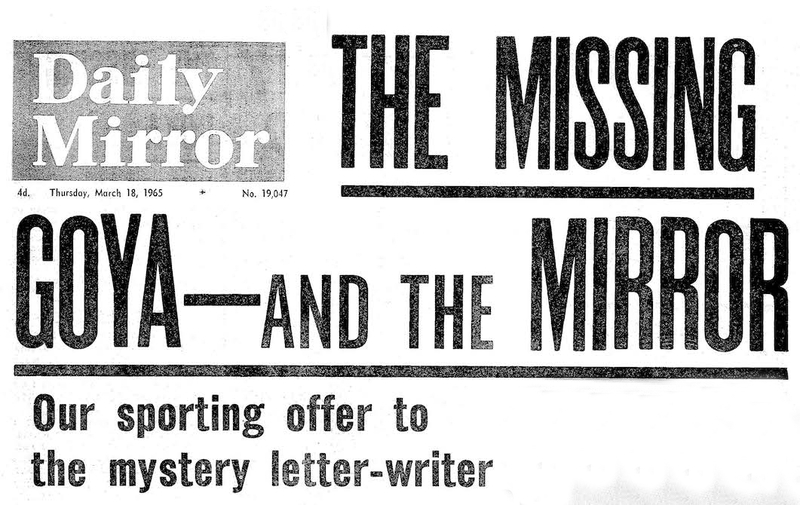 However, less than three years later on June 22 1969 a small article appeared in the Observer. 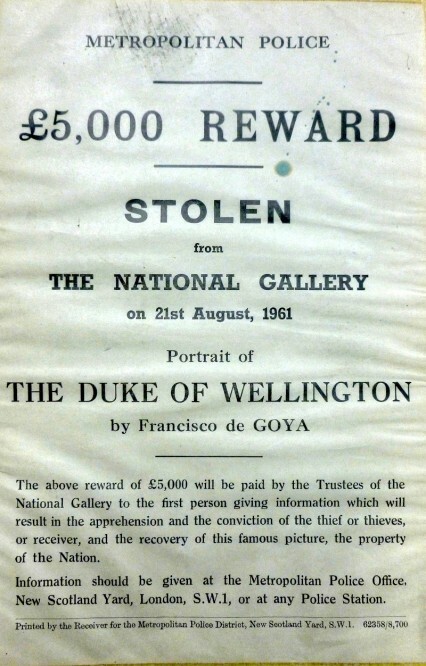 The journalist Barrie Stuart-Penrose reported that the police now believed it was someone else and not Kempton Bunton that had stolen the Goya portrait. Rather oddly, considering the acres of newsprint used up when covering the original heist and the subsequent arrest and imprisonment of Kempton Bunton, the story disappeared without trace. 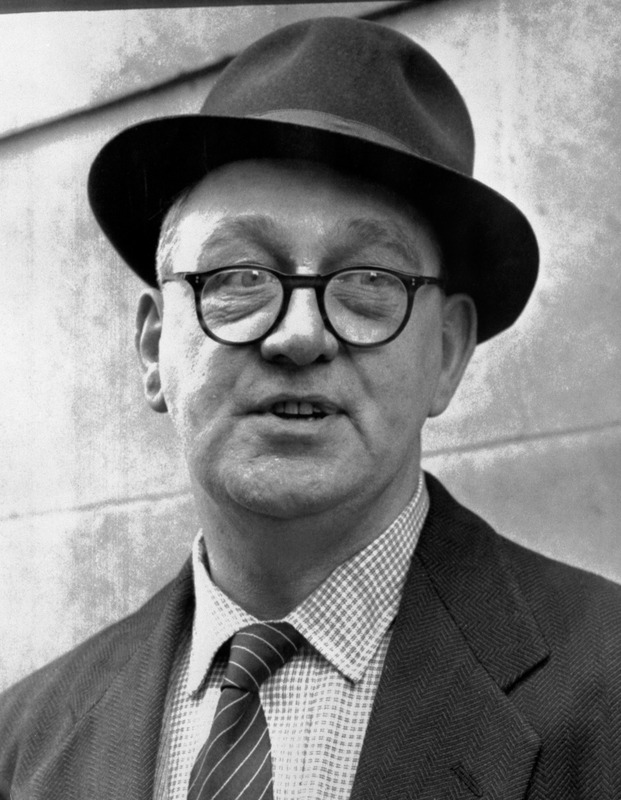 Indeed, considering he was responsible for one of the great British art heists of the twentieth century, when Kempton Bunton died in Newcastle in 1976 it went largely unreported and there were no obituaries in the major newspapers. 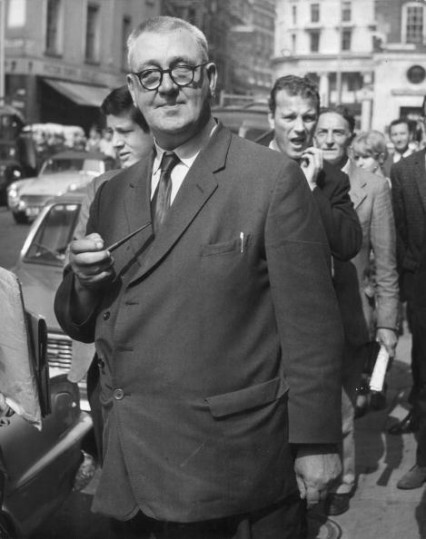 Sir Norman Skelhorn KBE QC (1909 – 1988) was the Director of Public Prosecutions for England and Wales from 1964 to 1977. In November 2012 a confidential Director of Public Prosecutions file was released at the National Archives. It identified the “thief” of the Goya Duke of Wellington portrait as the 20-year-old son of a retired Newcastle bus driver. His name was John Bunton and he was, of course, the son of Kempton Bunton. On 30th May, 1969 John Bunton, aged 28 had been arrested and charged at Leeds Police Station for stealing a car. While at the station he made it known that he wanted to get an offence of some magnitude cleared up. He went on to admit stealing the Goya painting. 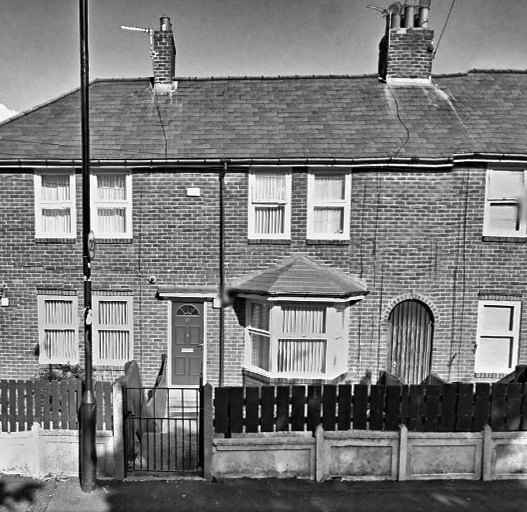 The police went to visit Kempton at 12 Yewcroft Avenue in Newcastle. He was now 65 and an old age pensioner and he admitted that it was his son John who had stolen the painting. He also admitted that he had committed perjury at his trail at the Central Criminal Court in 1965. After reading his son’s statement he agreed that it was what actually happened. Kempton Bunton’s council house at 12 Yewcroft Avenue in Newcastle. In August 1961 John Bunton was living at the Arlington Lodging House in Camden Town and on the 21st he stole a green Wolsley 1500 from a small lock-up in Old Street. He drove back to his lodgings where he remained until 4.00am and then drove to St Martins Street and parked along side the National Gallery. He scaled the wall of the Gallery in Orange Street by standing on a convenient parking meter. There was some construction going on behind the wall and a wooden ladder about 2o ft long had been left lying around. 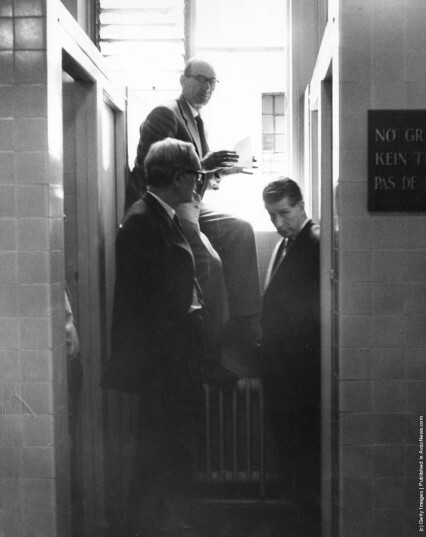 John Bunton put the ladder up to an unlocked window which was about fifteen feet from the ground and without much trouble climbed though into a gents toilet. The Gents in the National Gallery as they were in 1961. 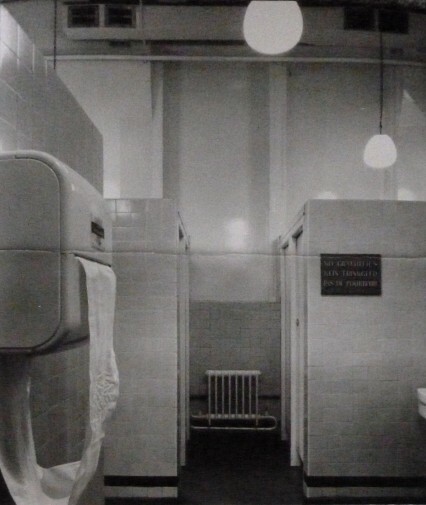 Outside the Gents in the National Gallery, 1961. Scotland Yard detectives inside the Gents at the National Gallery, 1961. John Bunton then made his way to the gallery which was at the top of the main steps. The Goya painting of the Duke of Wellington was there in a roped off enclosure and standing on an easel. He picked it up, it’s not a particularly large painting, and walked back to the gents toilet. He retraced his steps out of the gallery, this time helped by a lower wall which led up to the higher outer wall inside the premises. John then gave the painting over to his father who had travelled down from Newcastle but who eventually took it back home with him. 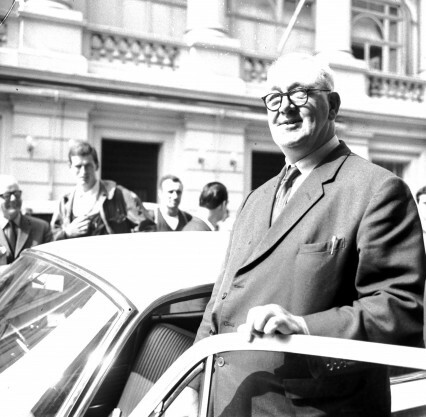 Four years later in May 1965 Kempton reqeusted that his son came and visited him in Newcastle. He gave John the Goya painting and asked him to take it to Birmingham and leave it at the Left Luggage at New Street station. 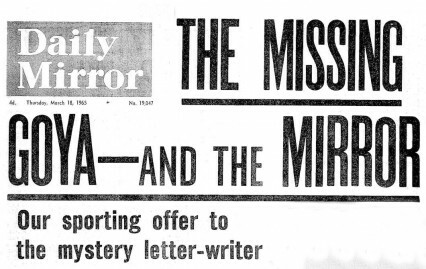 Following Kempton’s instructions, it was John who actually sent the letter to the Daily Mirror on the 20th May 1965. He told us not to. Ordered us. It was his wish. 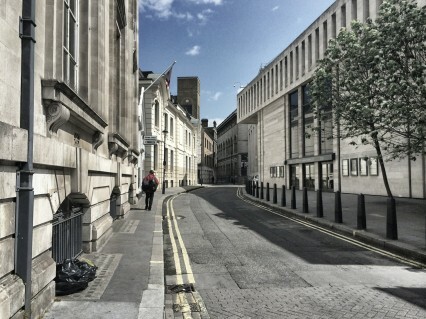 Orange Street behind the National Gallery in 2014. 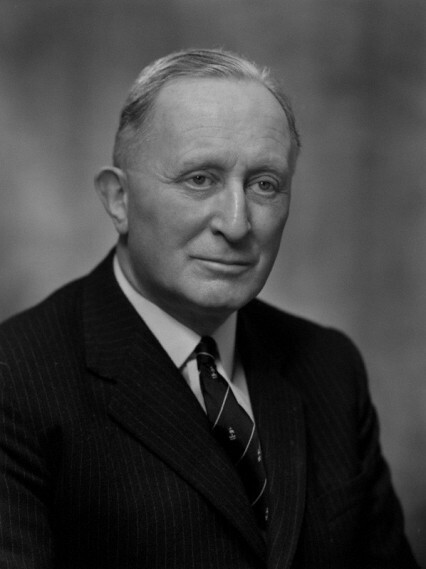 Sir Norman Skelhorn, the Director of Public Prosecutions, told the police that John Bunton’s admission of guilt was almost certainly not sufficient to prosecute him. As for his father, Skelhorn ruled that it would be difficult to prosecute him for perjury as they would have to rely on the evidence of the son, who was clearly an unreliable witness. No further action was ever taken. John Bunton, with the help of his father, managed to get away with one of the 20th-century’s greatest art heists. Goya’s portrait of the Duke of Wellington on display in the National Gallery in 2014. 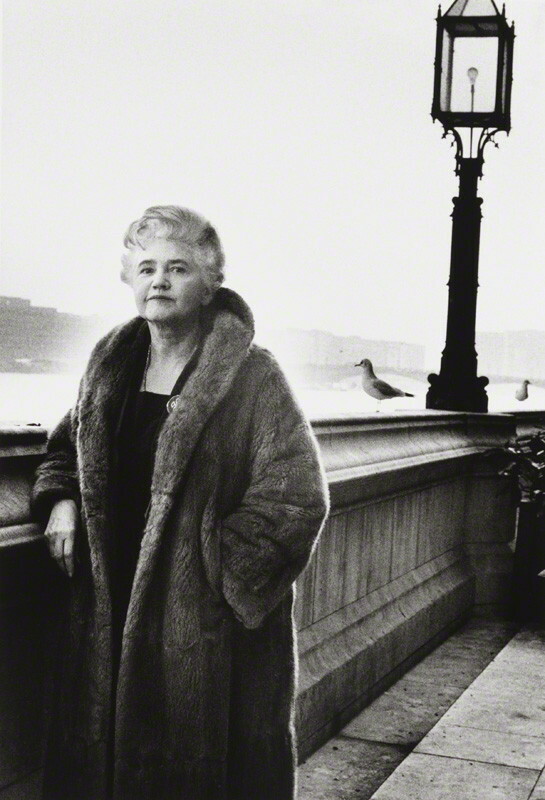 Jennie Lee in 1965 by Michael Peto. In 1967 the Royal Academy invited Harold Wilson, the Prime Minister, to their annual dinner to be held on the 27th May. Wilson said “I’d love to come, but with Jennie Lee”. For the first time since 1769 a woman (Jennie Lee was the Arts Minister at the time) was present at a Royal Academy dinner. It was decided to invite some other eminent women as guests and the Times diary reported that Lady Gaitskell looked ‘striking in a dress of wild silk in a pleasing shade of yellow, and as for Miss Gertrude Hermes, A.R.A., she was seen smoking a thoroughly masculine cigar after dinner’. 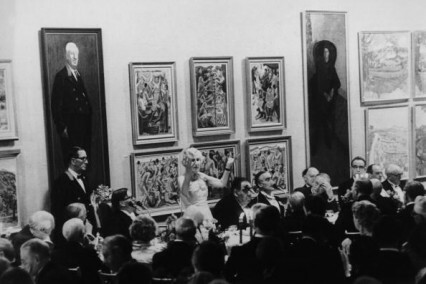 Lady Violet Bonham Carter, Baroness Asquith (1887 – 1969) addresses members of the Royal Academy of Arts, during their annual dinner in London, 27th April 1967. She was the first woman to do so and said that it marked the “end of purdah for this great monastic fellowship”. Peggy Ashcroft and Dame Barbara Hepworth were also present.